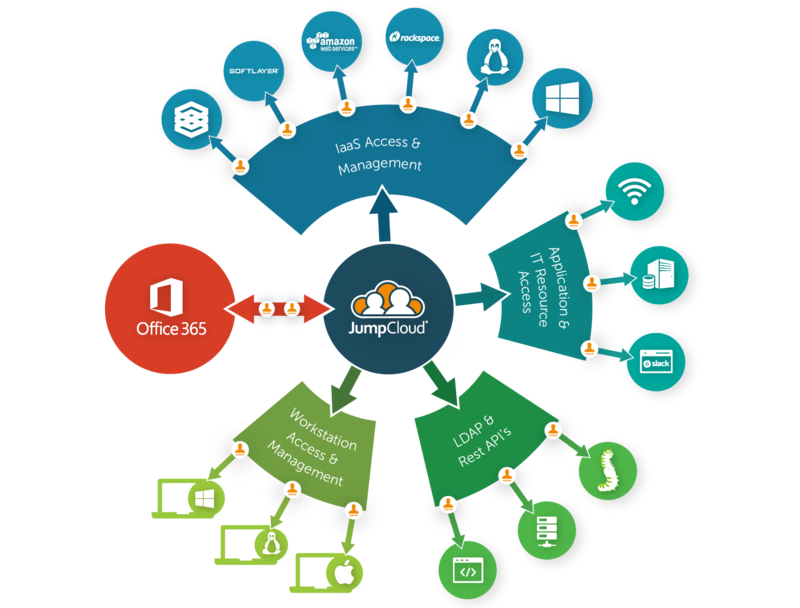 Millions of organizations have moved to Microsoft Office 365 over the past several years. Today, a staggering one out of five corporate employees uses O365 (Skyhigh Networks, 2016). Microsoft has successfully blunted the dominance of G Suite. Both platforms are moving email and productivity apps to the cloud. The benefits to IT are significant. But there is a lingering issue: what do you do with the directory service (Microsoft Active Directory, in many cases)? A new category of cloud identity management platforms led by Directory-as-a-Service® are enabling IT organizations to ditch Active Directory when they move to Office 365. A decade ago, there was no such opportunity. In fact, Microsoft was the dominant leader in many fields, including the operating system, email server, productivity applications, and the directory server to tie it all together. With Active Directory leveraged as their lock-in solution, Microsoft enabled Windows platforms and applications. Exchange was tightly integrated with AD as was the concept of a domain. 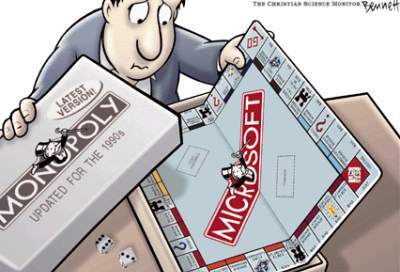 Microsoft was a monopoly on many levels and tightly controlled the back-office functions for IT organizations. Now, Microsoft and Google have both shifted the way that IT networks work. The concept of a domain is largely irrelevant. Most IT organizations are shifting as much as they can to the cloud, including their data center infrastructure, applications, and even network management. As a result, the concept of what a directory service must do has dramatically changed. As many IT admins know, Active Directory hasn’t kept up with this new approach to IT. Active Directory is still focused on providing centralized user management control to Windows systems and applications located on-prem. Ironically, the catalyst of replacing Active Directory for many organizations is the move to Office 365. As the email platform and productivity suite moves to the cloud, IT admins realize that they don’t want to have an on-prem directory service. In fact, many of their users leveraging O365 are using Macs as well, so the device population is shifting along with the move to the cloud. As a result, IT organizations begin a search for a cloud-based directory service to become their core, authoritative identity provider connecting to a wide variety of systems, applications, and networks. Many look at Azure Active Directory to be that cloud directory solution. However, they quickly realize that it is really only focused on Azure and requires AD on-prem. As IT admins dig deeper, they find Directory-as-a-Service. It’s the alternative to Active Directory that they have been searching for. As a cloud identity management platform, Directory-as-a-Service is completely independent. It treats Macs, Windows, and Linux as first-class citizens. AWS, Azure, and Google Compute Engine, and other cloud infrastructure providers are all supported equally. Also, Microsoft Office 365 works as seamlessly as Google Apps for Work. In other words, IT organizations can choose the IT resources that are best for their organization, not those that are best for Microsoft. 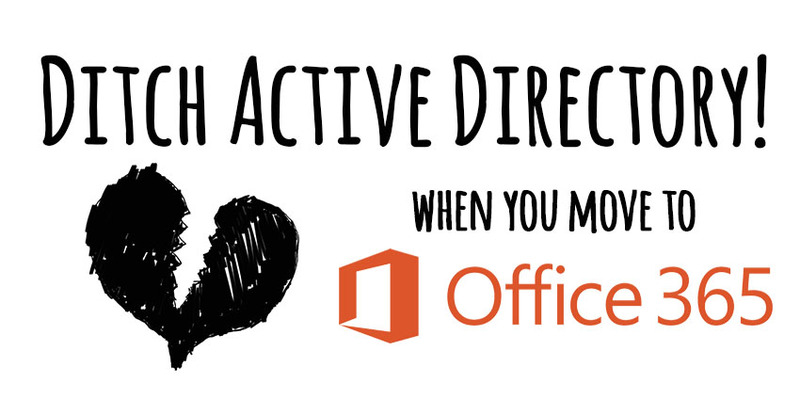 Drop us a note to learn more about how to ditch Active Directory when you move to Office 365. Since your first 10 users are free forever, sign up for a free account to try the Identity-as-a-Service platform for yourself.